He was born in Nairn, Scotland on 5 June 1843, brother of Peter MacArthur and Duncan MacArthur. He received his education in Nairn and while working as a clerk in a law office, he served as the secretary of the Nairn Literary Institute. He emigrated to Canada and was employed in Montreal and Toronto by the Hudson's Bay Company and as a bank clerk. He moved to Red River in the fall of 1869. His brother Peter (an entrepreneur in his own right) was already in the West and was arrested along with Dr. Schultz by Riel. Alex McArthur, like so many other young immigrants, set out to make his fortune in the West by becoming a general merchant. He owned a sawmill on the Winnipeg River for a time and sold lumber in Winnipeg. He was involved in various business enterprises in the city but was ruined, along with many others, by the collapse of the real estate boom in 1882. McArthur was typical of the businessmen/scholars who were the founders of the Manitoba Historical Society. He was an avid birder and had a huge collection of bird specimens which he was forced to sell along with his extensive library, because of his financial difficulties, in 1886. 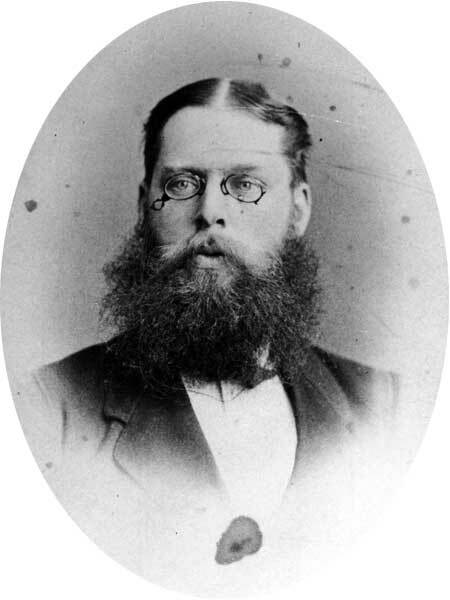 He was one of the founders of the Winnipeg Board of Trade, in 1873. McArthur wrote several papers for the Society and led an unsuccessful expedition to the North Pole to study the birds of the Arctic. He died at Winnipeg on 21 August 1887, while preparing a second attempt to travel overland to the North Pole. MacArthur Family Letters 1854-1934 edited by Valdene Mae Medd and Edna Alexandra Medd (1992). Alexander McArthur, Dictionary of Canadian Biography XI, 538-39.